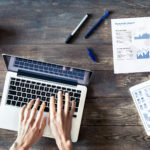 Recruiting metrics dashboards give HR a bird’s eye-view of the recruitment scenario within their organization, their competitors’ organizations, and the industry as a whole. Some of these metrics could be so decisive and critical; they’ll change the way you recruit, forever. What if you knew exactly where your potential candidates are located? 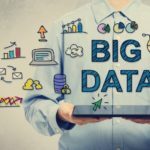 As an HR leader, you realize only too well the pivotal role such data can play in your recruitment strategy. You can plan and streamline your efforts and resources in the direction of those cities that currently host the talent you need; not to mention the stress and misspend that you’ll end up avoiding. 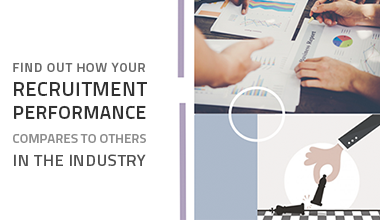 With Talismatic’s talent density recruiting metrics dashboard, welcome to the era of meticulous recruitment! 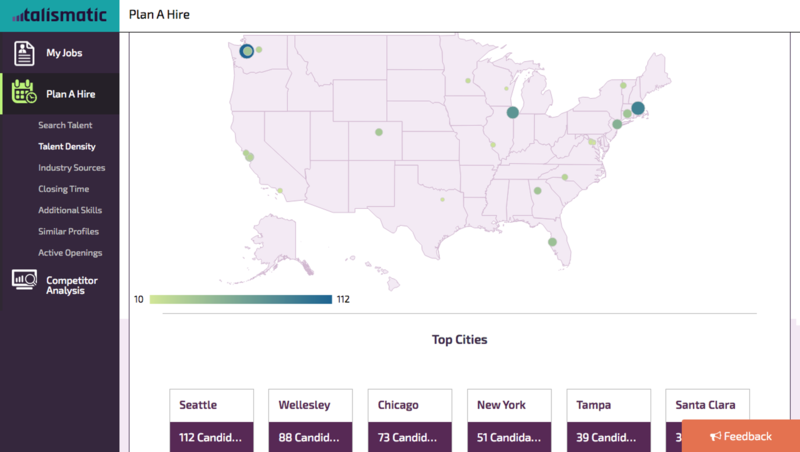 Talismatic’s Talent Density dashboard shows the top cities to search for, in this case, a data analyst. See a heat map of talent concentration for the job title you enter, for the experience level you specify, all across America. 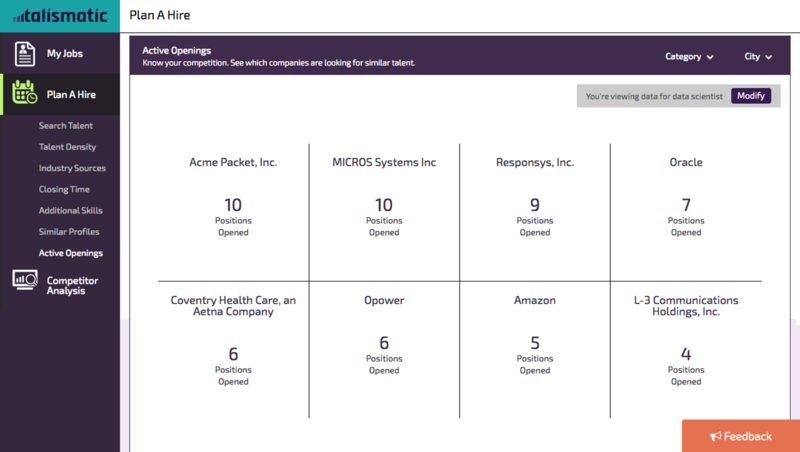 Talismatic’s Active Openings dashboard gives you a lucid view of your competitors hiring for the same position as you. 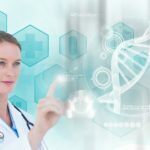 You can personalize your job search and offerings to attract more candidates to apply. The image below shows eight of the biggest competitors hiring for the position of data analyst. It gives you an exact count of the number of similar positions these companies have lying vacant. Closing Time recruitment metrics dashboard shows you the average time taken to fill the position for a job title or skill set. With this metric, you know when it’s fine to sit back patiently and wait for a position to fill and when it’s time to fret and search more aggressively. 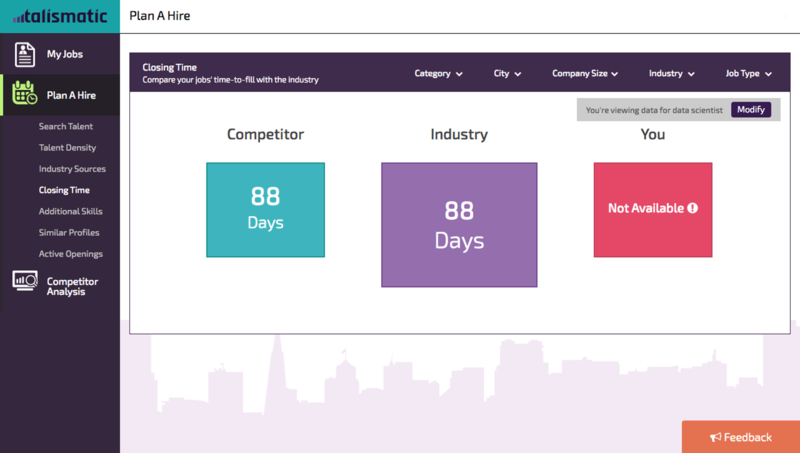 The image below shows how competitors for the sample company take 88 days to hire a data analyst and how the industry norm for this position is also the same. Once you enter the data for your own company, Talismatic shows you how many days it takes for your company to fill the same position, which in this case reads ‘Not Available’ as a dummy company has been used. In case your company’s taking more than 88 days to close this job, you need to relook at your strategy and plug out the difference.